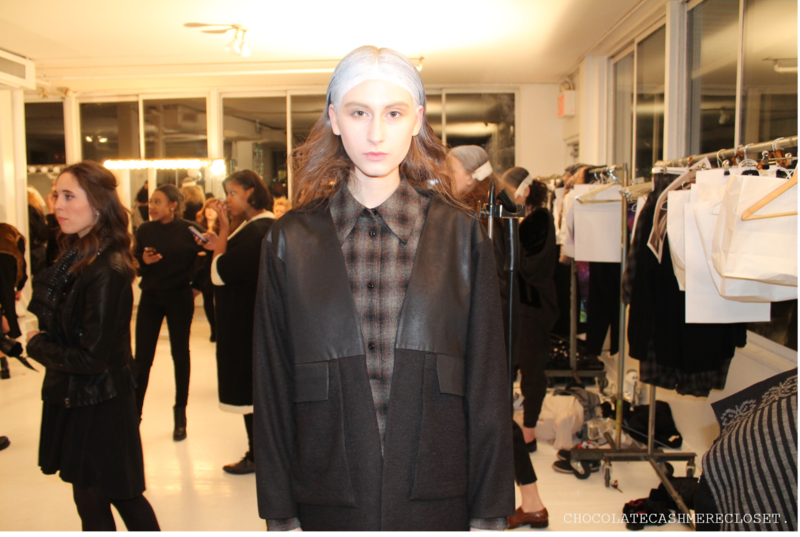 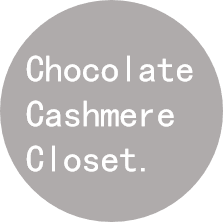 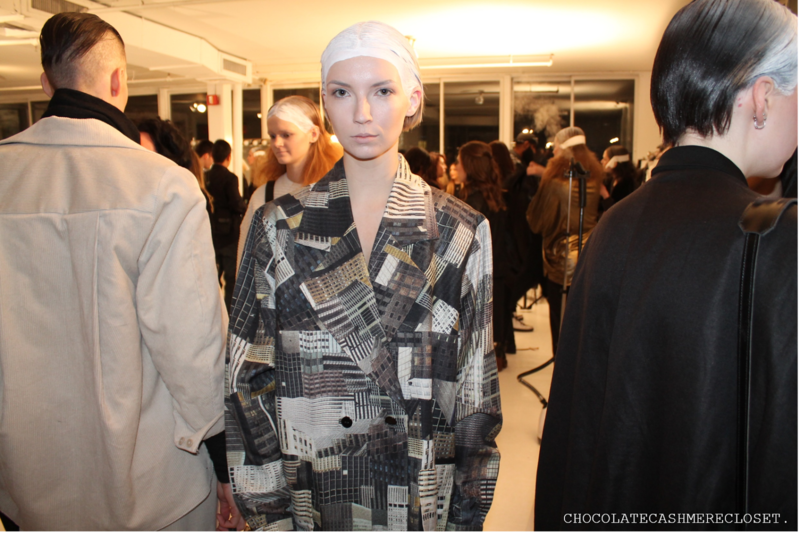 The Swiss label Berenik showcased its boldly aesthetic ready-to-wear collection at New York Fashion Week on February 13th at Studio 450 in New York City. 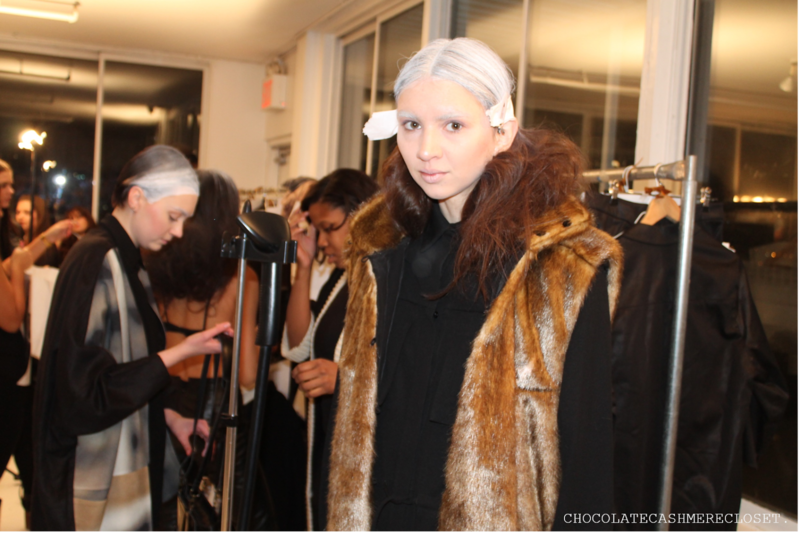 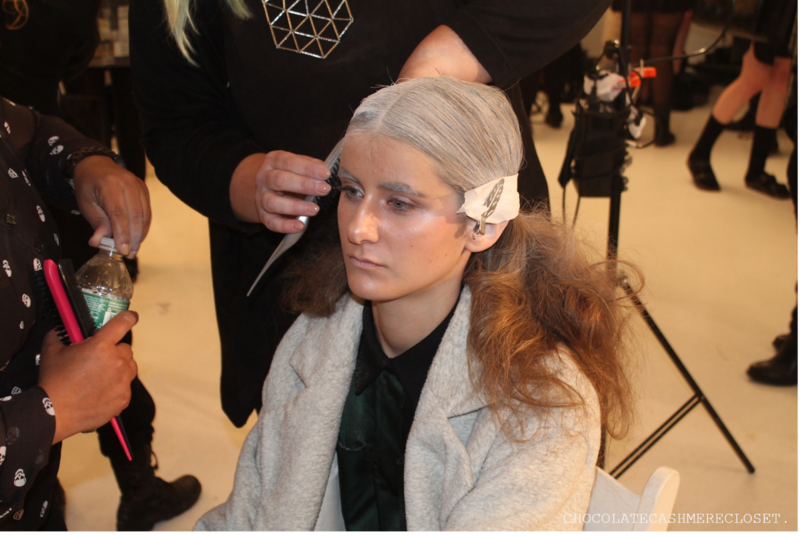 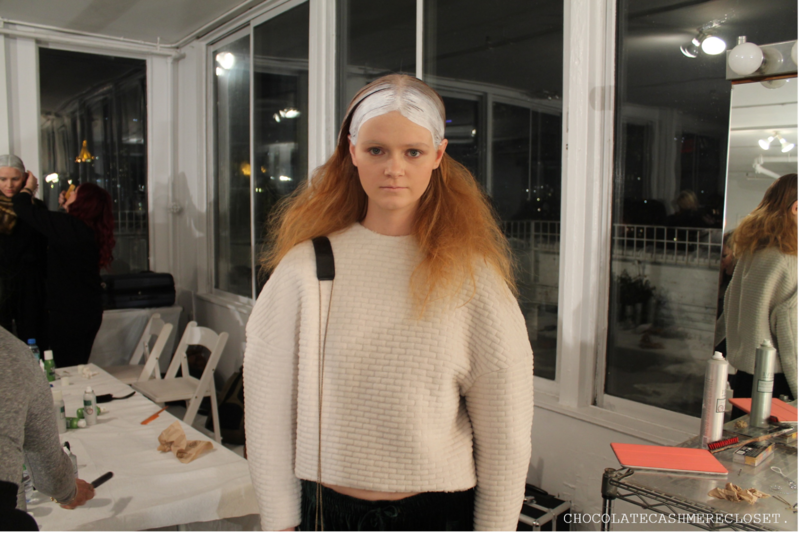 Backstage hair looks consisted of ghost-like pasty, grey hair with teased ends whilst makeup looks were kept to a standard with blanched foundation and disappearing, grey eyebrows. 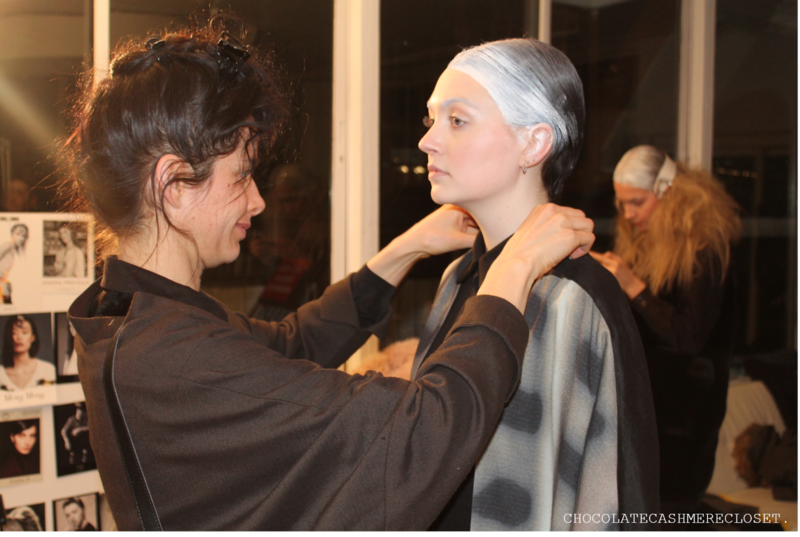 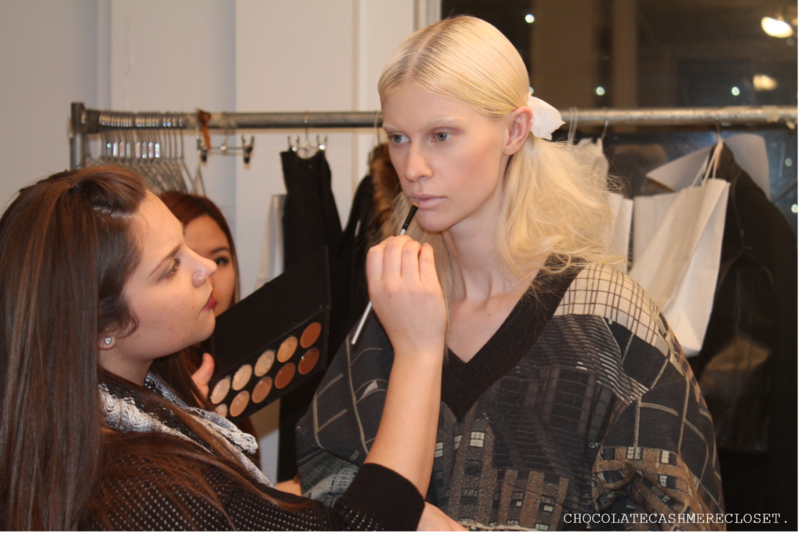 Designer, Veronika Brusa adjusting a model's look.